NCSoft today announced that Blade & Soul, their martial arts based MMO, will get a major expansion titled Secret of the Stratus, and that will bring major changes to the game. Blade & Soul is a Korean-developed MMORPG that takes players to a fantasy realm where they use Martial Arts and Magic in a real-time battle system. The game first launched in Korea in 2012, but only launched in North Ameria in 2016. The new update Secret of the Stratus marks a major milestone for the game, as it will change how updates are handled for the North American release moving forward. NCSoft is changing focus to make larger more ambitious expansions on a slower schedule rather than the more frequent small update model. This move will allow players to fully explore each new offering before being pushed onto the next new set of content. The Secret of the Stratus expansion will launch on April 12, 2017, and brings with it a host of changes to the base Blade & Soul game. One of the most notable changes is the newly revamped skill system. This new system will allow the same level of customization, while removing much of the overwhelming complexity that is currently seen in the game. The skills themselves have not changed, but the way and ease to spec your character have. This will allow players new to the game not to feel intimidated for jumping in and allows experienced players more time to enjoy the game they know and love. 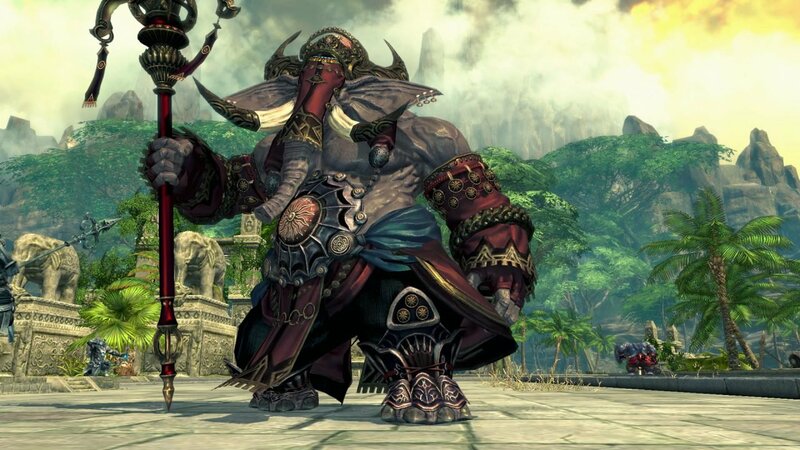 The expansion also brings about the new Hongmoon Training room, a solo instance where you can practice skill combos and timing for boss attack patterns. Need to work on your skill rotation? The Hongmoon Training Room has you covered. Is that where not enough, Secrets of the Stratus will also bring with it Act VII of the story, and three new PVE areas designed for end game player enjoyment. These include the Naryu Sanctum, Celestial Basin, and Mushin’s Tower F16-20. NCSoft is also planning on offering players purchasable vouchers that will allow them to level one new character all the way to lvl 50 for a price. For people looking to level up a new character, this gives an easy way to quickly test out a new class and get them at end game stats. At this time no price has been given for the voucher, although I was told that it would be comparable to the price offered from other games in the same genre. The Secrets of the Stratus expansion will be hitting North American PC’s starting April 12, 2017.